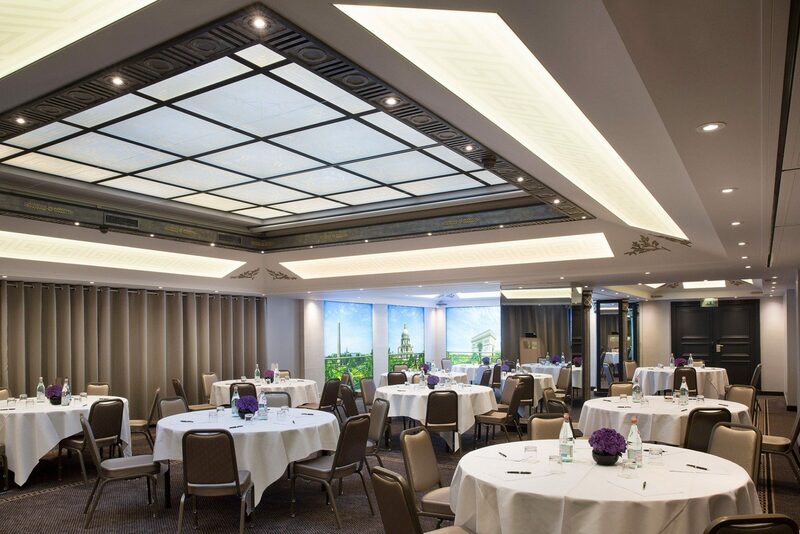 8 meeting rooms close to the Champs Elysées. Whether it's for a management meeting or a press conference, catering for between 10 to 120 people, the 'Salons de l'Étoile' comprise of 8 multipurpose, high-tech rooms. Don't be deceived by the mansion-style facade - our seminar/meeting/event rooms are perfect for business and private gatherings. 5-star service, luxurious decor, HD screens and bespoke services all in discreet, exclusive surroundings - not forgetting the delicious snacks and generous lunches served in the Le Bivouac restaurant. Please feel free to call us on 0033 1 56 68 44 88 or send an email to salons@hotelnapoleon.com: our team is on hand to help and advise you. Our one day package with lunch included starts from 130€ per person.